Reclaiming simplicity, thrift, and utility. 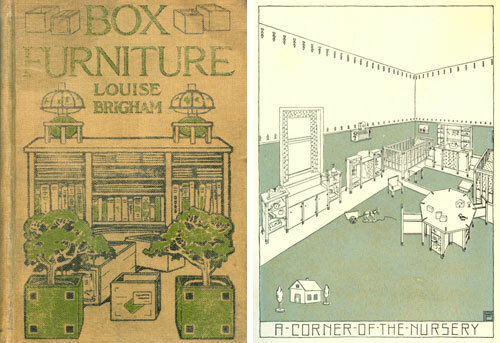 We found a copy “Box Furniture” by Louise Brigham, an American early 20th century designer/teacher who was a pioneering champion of the use of recycled materials in furniture design. 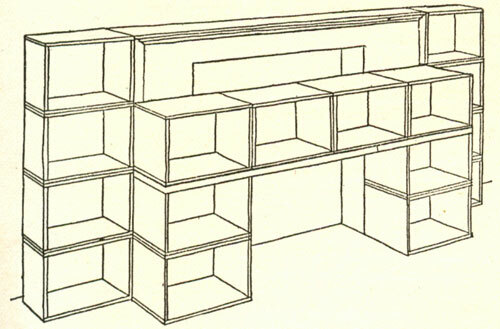 The book published in 1909 contains plans of her designs for building furniture entirely out of packing crates, a how-to manual for a target audience of modestly skilled working-class householders. We love the ambition of Brigham’s self-proclaimed task to render humble materials into beautiful and useful objects for the home. The system that she invented for building furniture out of packing crates represents one of the earliest to adopt a modular approach to the design of individual units. 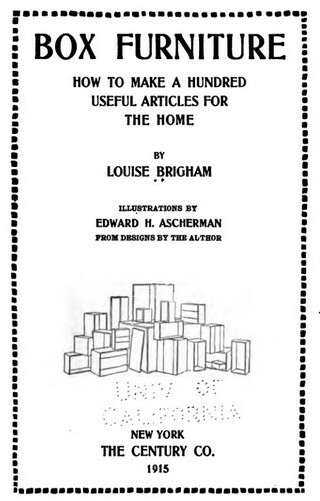 Brigham’s materials are used boxes—she specifies bean boxes, canned fruit boxes, and gelatin boxes, among others readily to hand at that time, for projects ranging from cupboards, desks, and chairs to planters and music stands. 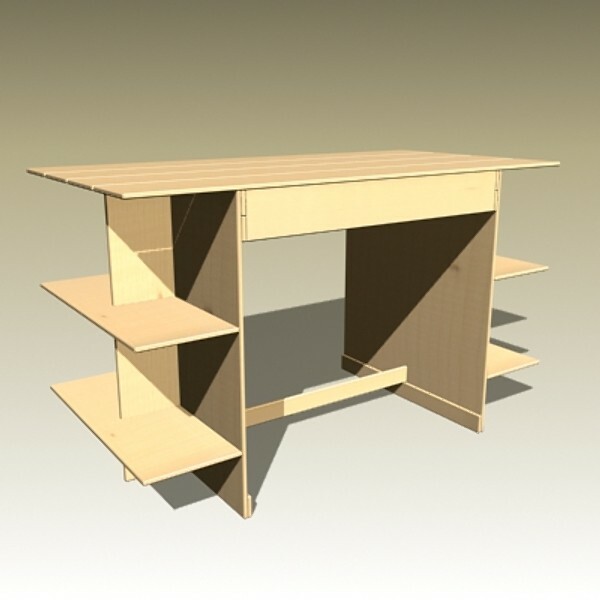 We were surprised by the forward looking concepts contained in “Box Furniture” such as affordability, the use of humble materials, unit or modular design, and participation that would later figure in Modernism, while repurposing itself is of course a hugely topical sustainability issue today. This forward thinking also involves the box itself. Titles such as “The box taken partially apart so that it loses its original shape” and “The box taken entirely apart and the material used in construction” point toward the radical achievement of the De Stijl movement and the deconstruction of the box. Deconstruction of the box in its simplest form, as with the bookcase for the boy’s room. 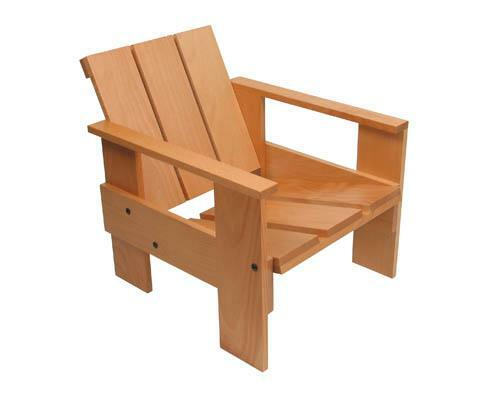 We are fascinated by the humility contained within the high designs of Gerrit Rietveld. Rietveld belonged to this De Stijl movement, the chief spokesman of which was of course the painter Piet Mondrian who described their theories as an attempt to close the gap between art and life. The aesthetic essence of their principles was to purity of all elements, of unimpeded horizontals and verticals, primary colour with black, white and grey. 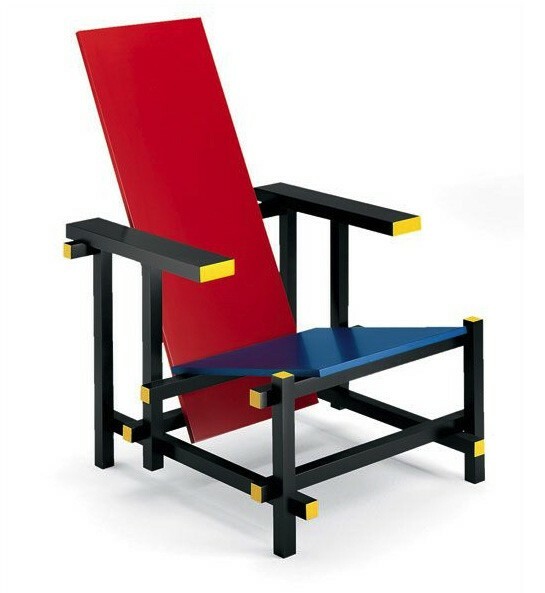 Strongly reminiscent of Mondrian’s earlier paintings, Rietveld appears to have sacrificed all anatomical considerations in his furniture to produce what appears to be an exercise in pure sculptural form consisting of intersecting planes and formal geometric composition. The Red/Blue chair appears to be designed solely to aesthetic criteria with functional aspects appearing to be largely incedental. Apparently Rietveld is said to have complained about bruising his ankles on it! We also understand that the Red/Blue chair of 1918 for which he is best remembered, was not originally painted, but received its famous colour treatment when suggested for it’s inclusion in the Schroder House, his most important architectural work of the same period. The applied colour to the chair goes to emphasise his dematerialised aesthetic of severe right angles and linear forms, and the scheme -especially the use of contrasting colour for the ends of pieces show this obvious relationship to Mondrian. 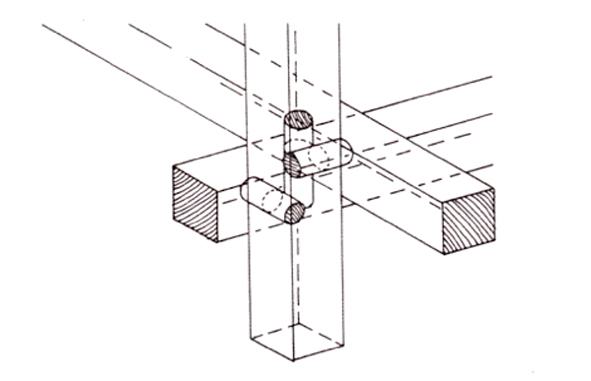 The structure of the chair is of rails, which bypass each other being fixed on top, or beside each other by means of small dowels going against conventional sense of durability. The simplicity of construction using machine cut elements was to suggest new means of multiple production using standardised components to make cheap machine production possible which in no way depended on expensive craftsmanship. We believe that the construction itself is very direct and offers far sighted ideals about simplification and cost reduction of furniture making. Indeed, the dimensions of the chair are based on a ten centimetre module, in order that it can be made without he need for complex working drawings. His manifesto was later transferred to other pieces of the type, being convinced that they would be considered “abstract-real sculptures in the interiors of the future”. 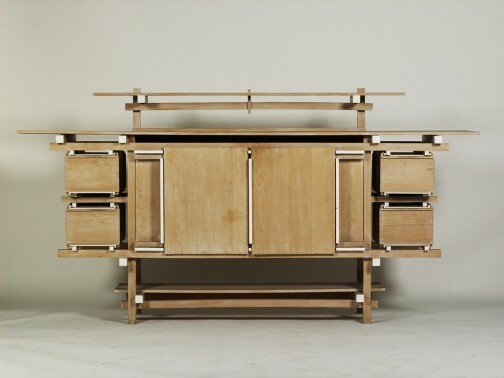 A good example, his sideboard (1919) makes the impression of being somehow transparent, again consisting of the structure of horizontal and vertical rails and surfaces. 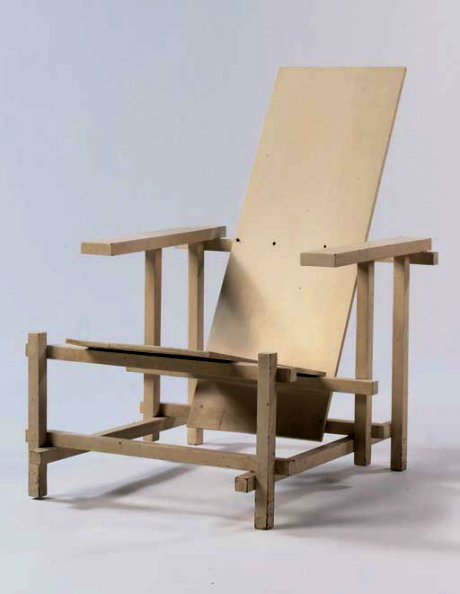 Rietveld’s lifelong passion was to make objects with aesthetic qualities available to a wider public and this is reflected in his growing enthusiasm for rudimentary construction with uncompromising simplicity responding to the harsh economic climate during the early 1930s. In these years of economic crisis, many products were packaged in crates in order to be shipped safely; after which the crates were usually discarded despite quality base materials being used. In 1934 Rietveld constructed the earliest pieces of furniture out of ‘crate wood’ constituted of the packing materials which he re-used. 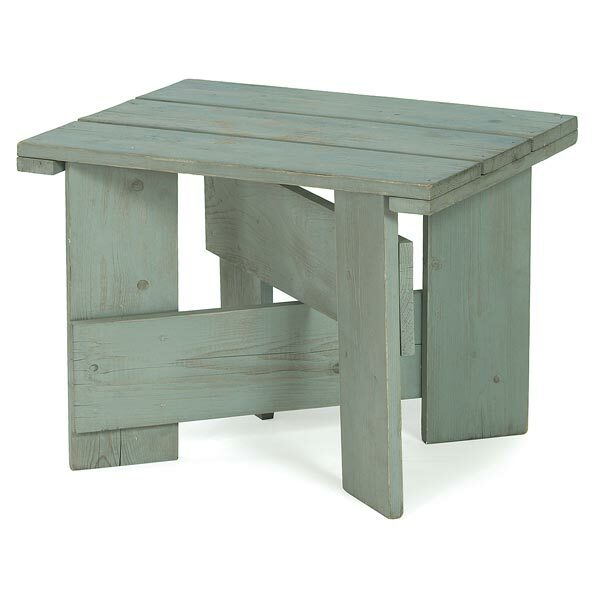 The first pieces of crate furniture date from 1934 include an armchair and a low table. Rietveld commented, “A piece of furniture made of high-grade wood and manufactured completely according to traditional production methods is transported in a crate to avoid damage…no one has ever ascertained that such a chest embodies an improvised, highly purposeful method of carpentry…there must therefore at long last be someone who chooses the crate rather than the piece of furniture. The Crate Furniture was sold as a revolutionary self assembly kit, simply constructed from these inexpensive reclaimed planks of wood with the simple aim of affordability. 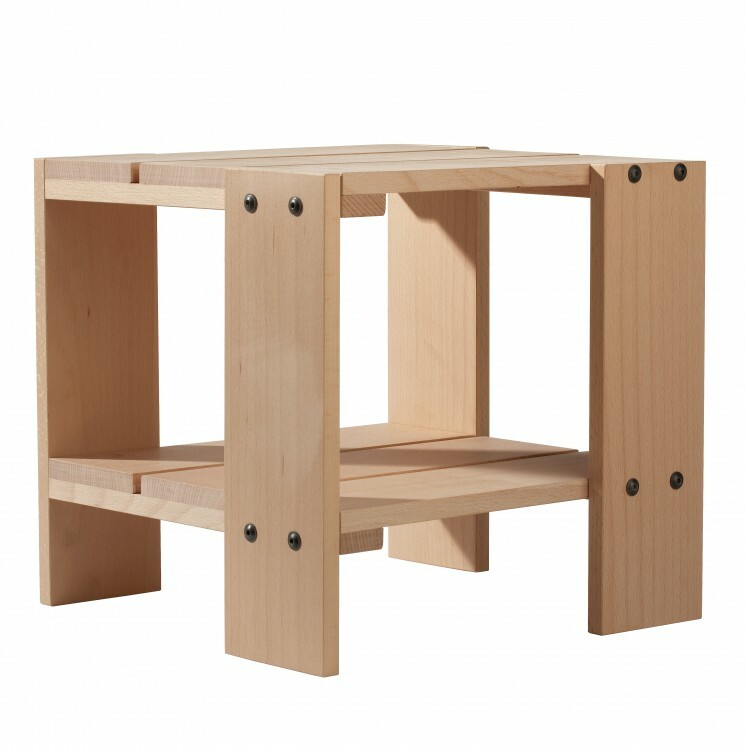 Rietveld’s ideology, that beauty must be accessible to everyone and that simplicity is the mark of truth, put into practice with the crate desk. I like that low table. Great post.